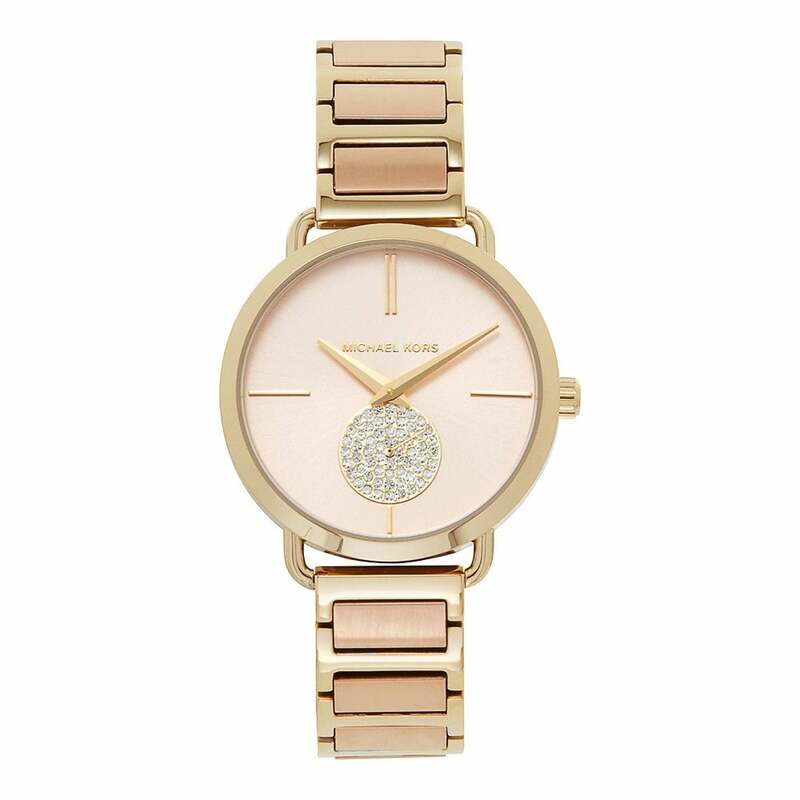 This MK3706 Gold & Rose Gold Stainless Steel Ladies Watch comes with a 36.5mm case and is fitted with a gold case and a gold & rose gold strap. Coming with a rose sunray dial and a quarts movement. This watch comes with a 2 year Tic Watches warranty and FREE UK delivery.